Final Approach is a watercolour painting of flight capturing the moments before touchdown on the runway. It is the pilot's view and she or he would be concentrating fully. 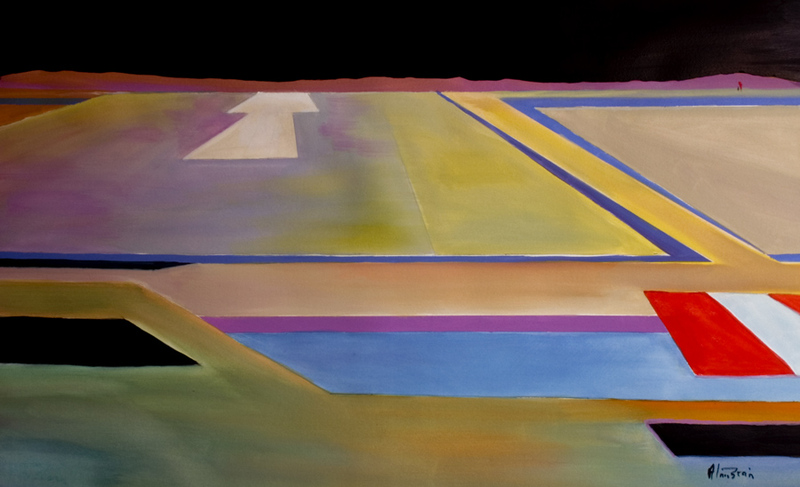 Modern abstract aviation art for sale online directly from the artist Alan Brain.